Each incredible chainmail coif is painstakingly and skillfully created by hand using 7/16 inch inner diameter rings. 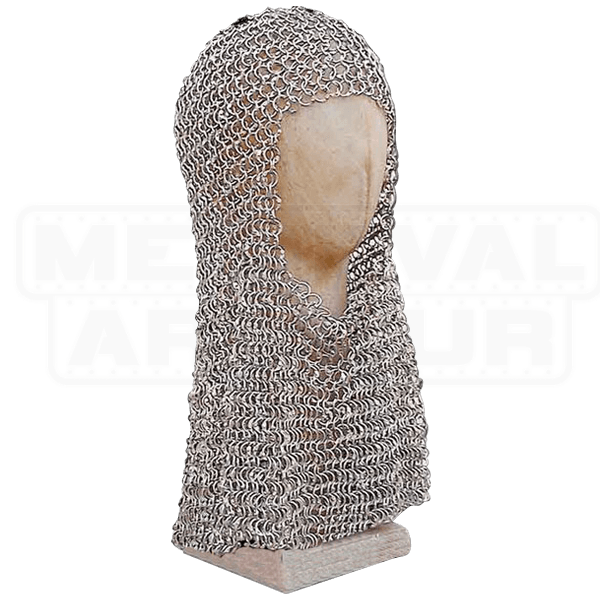 This chainmail coif is made of flat rings that have been riveted to prevent separation of links and styled in the European 4 into 1 ring fashion just like the museum originals. You can marvel the originals or get your own fantastic creation. 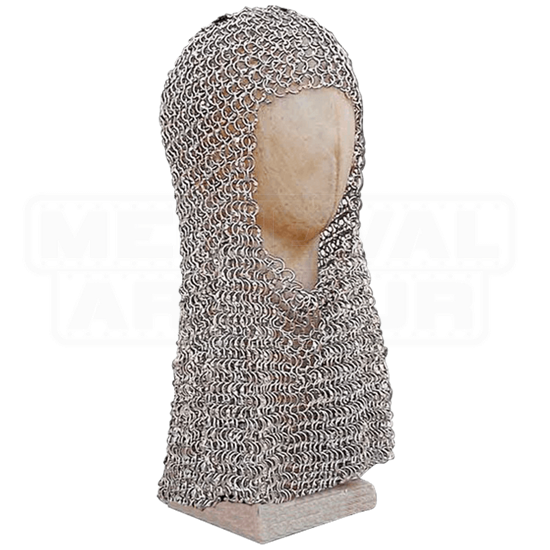 This Riveted Flat Steel Chainmail Coif is fully wearable and very historical.